See club to get single $29.95! Prepay special 1 year $249.00! See club to get optional$39.95 a month! "I exercise because somehow completely exhausting myself is the most relaxing part of my day"
Welcome to the only 24/7 gym in Central Queen Creek! We have everything you need, such as cardio machines, strength training machines and free weights to get and stay in great shape. Tanning 24/7 is available too. 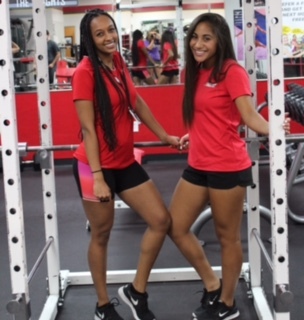 Personal training staff is ready to serve you. Make this year, this month, and this day the beginning of your best fitness and health! Memberships lower than $1 a day!! No waiting in lines or overly crowded gyms! Instant 24/7 - 365 days a year!! Improve your cardiovascular fitness, muscle strength and endurance! Highly reduced membership rates: Less than $1 a day! Numerous discounts to local companies! FOR MEMBERSHIP INFORMATION PLEASE CALL 480-987-1255 OR STOP IN DURING STAFFED HOURS.